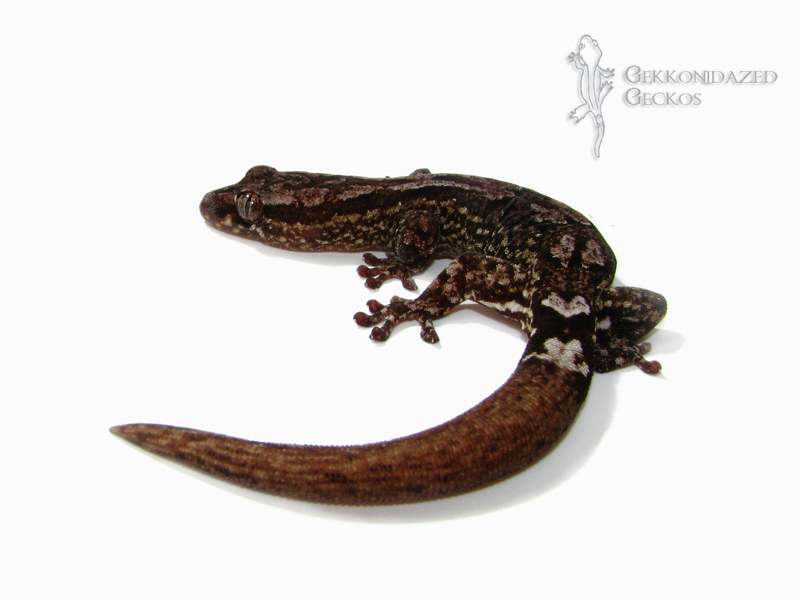 These are some of the species that we are working with. We don't necessarily breed every gecko, some we keep just for fun. 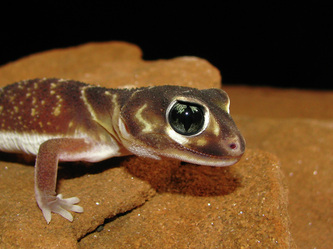 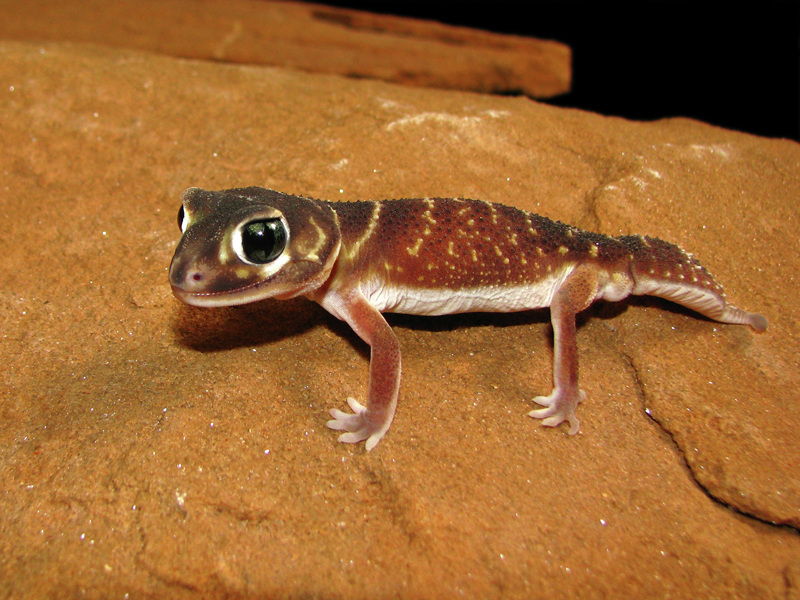 These guys are commonly called the African fat-tailed gecko, and they are really cool. 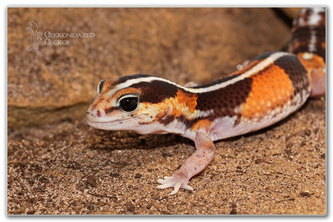 We picked this girl up from Garrick DeMeyer at www.Crestedgecko.com. 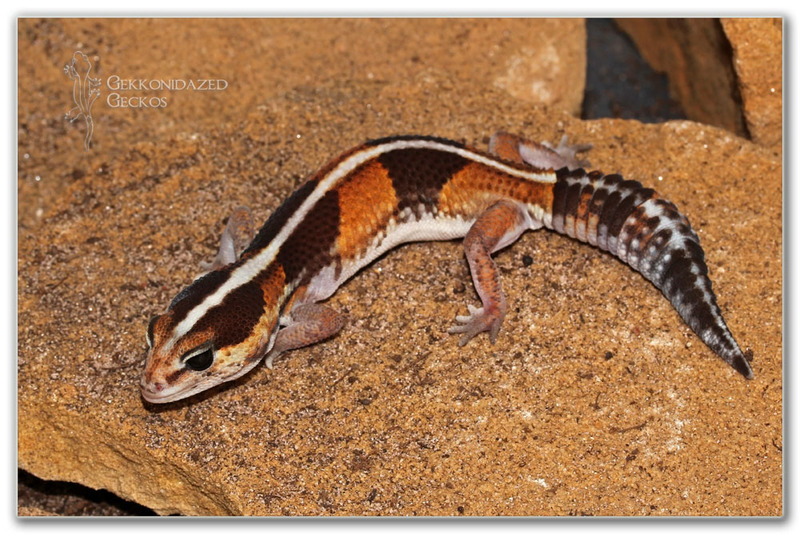 This female is a pretty common striped morph, but we found her markings to be very striking. 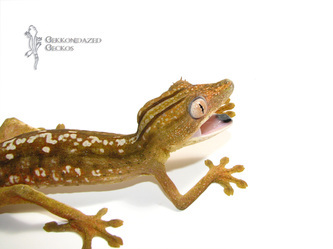 We don't plan to breed this species, but you never know. 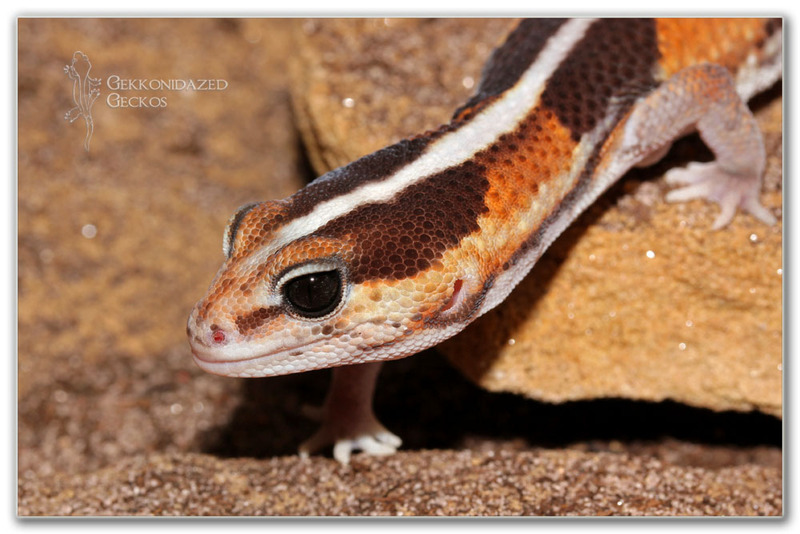 The genetics of the AFT's are pretty fascinating. 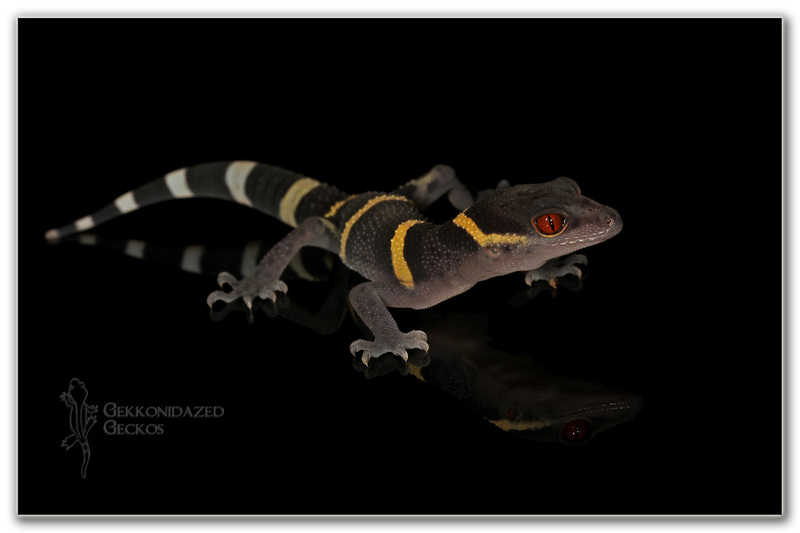 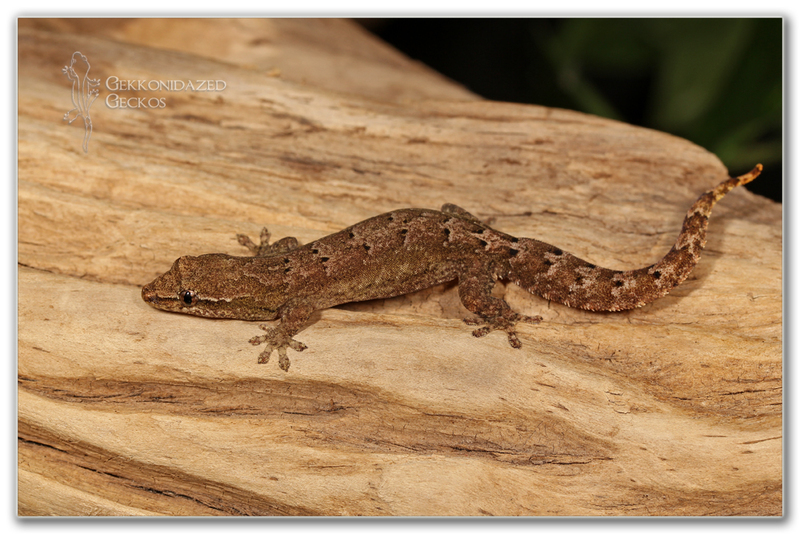 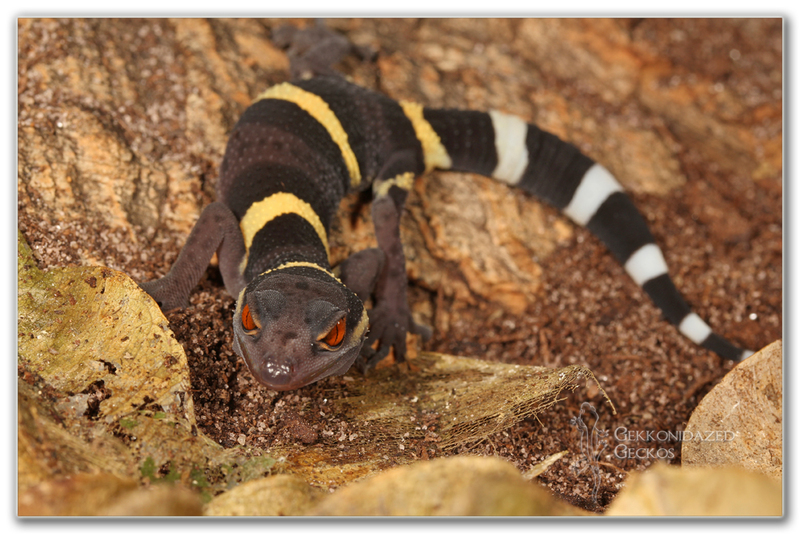 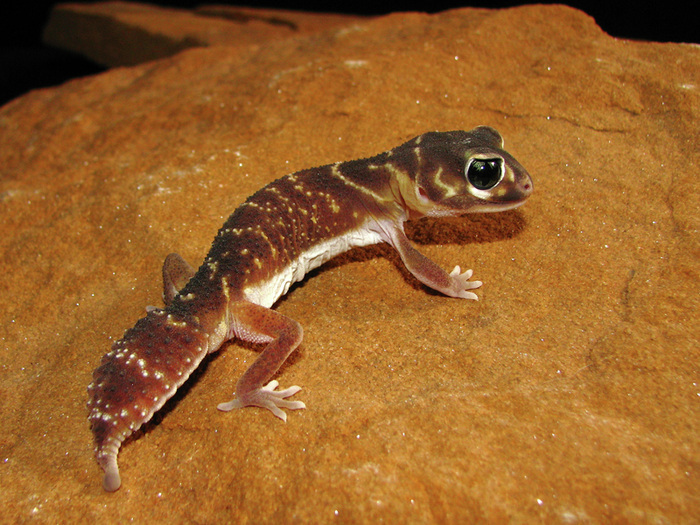 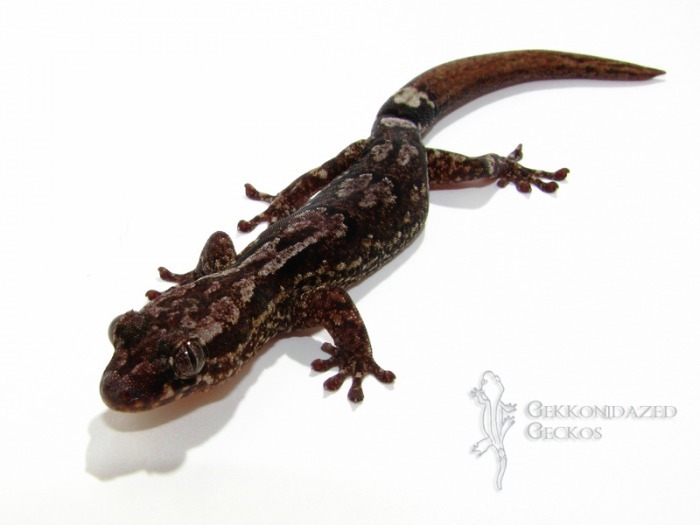 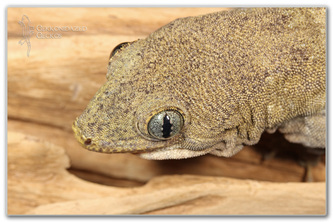 Hainan's cave gecko. Had my eye on these guys for a long time, finally decided to get one. Thought we'd start with a juvenile and see where it takes us. I'd like to get some G. orientalis in the future. 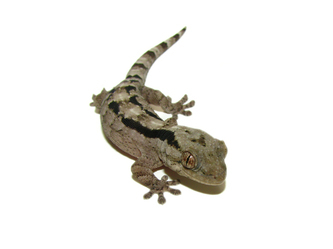 So far this guy is kind of flighty, but loves to eat. 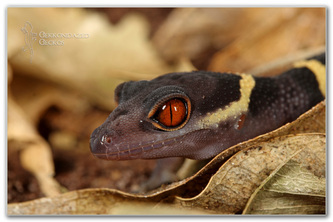 Hides out a lot, unless there is food to be eaten. 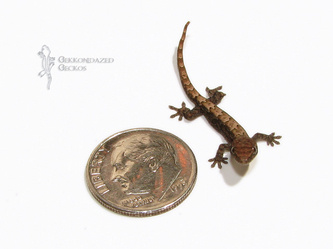 These guys are so freakin' tiny, it's pretty rediculous. 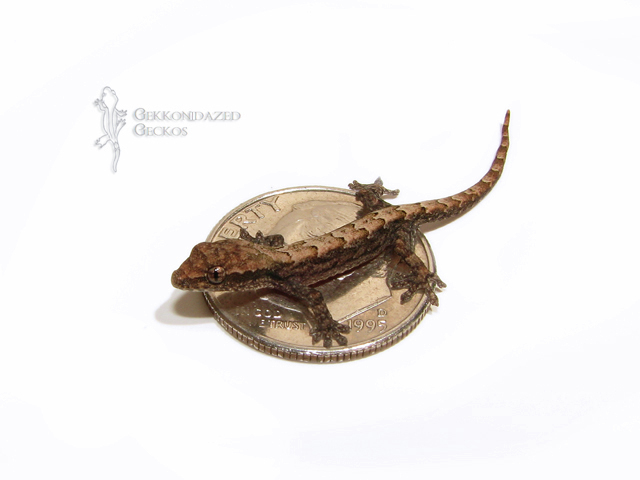 Derek at DD Reptiles is to blame for getting us started on this tiny of a species. 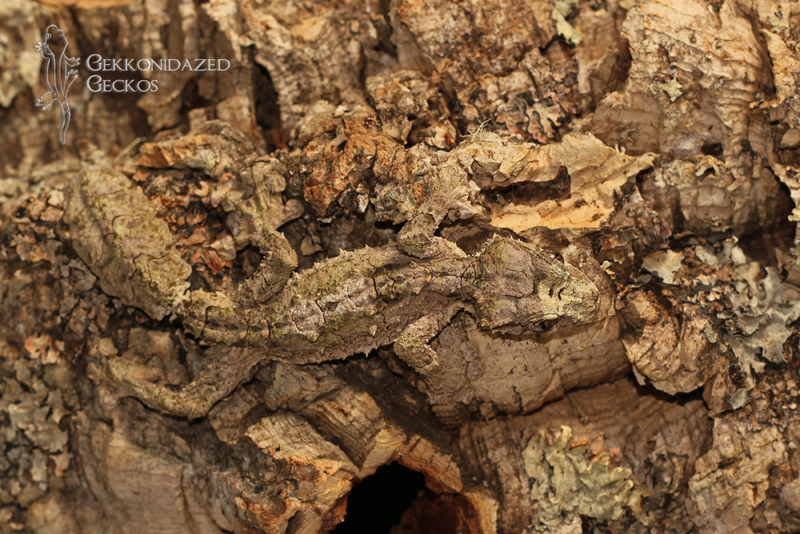 They have grown in our care, but it's definitely hard to tell. 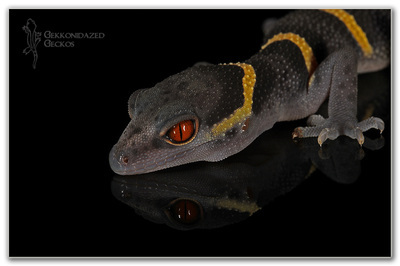 Very cool species to keep, and hopefully one day we'll have offspring of our own. We have a pair, but no pics of the male just yet, this is the female. 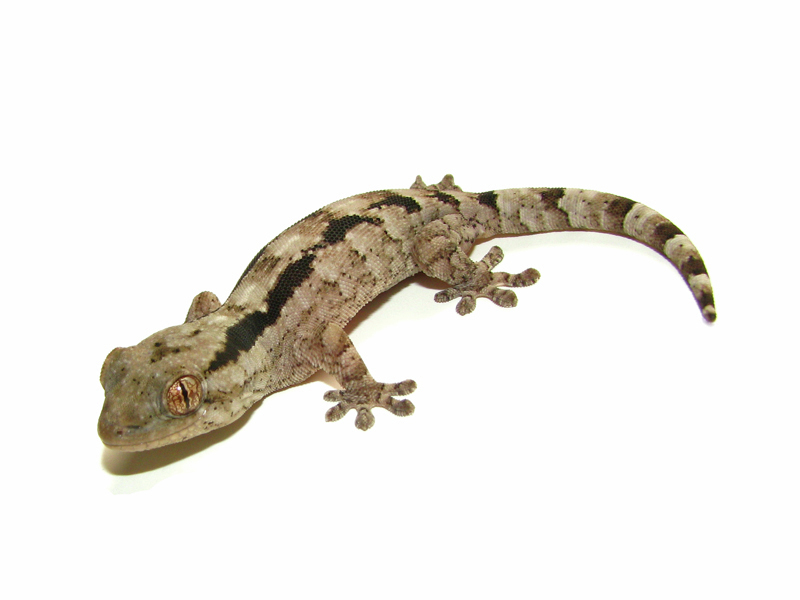 Our two mourning geckos are from Andrew and Sarah Gilpin. 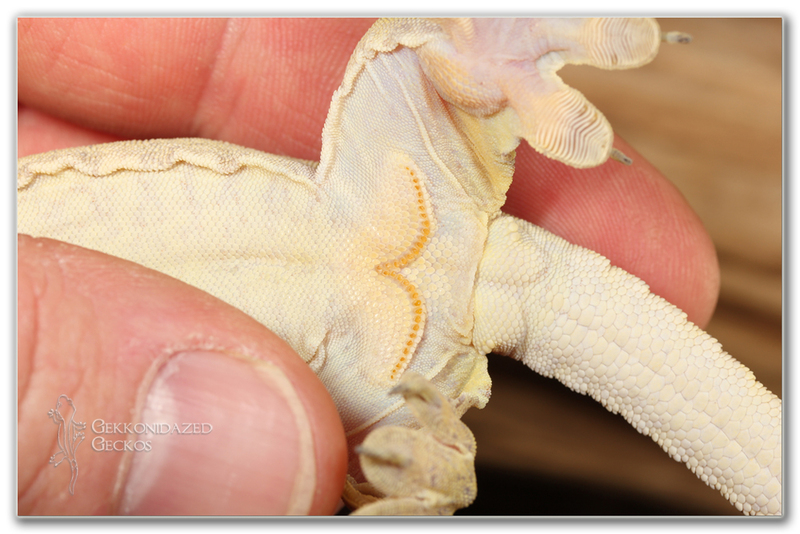 They regularly lay eggs and do great on CGD and small b. dubia roaches. 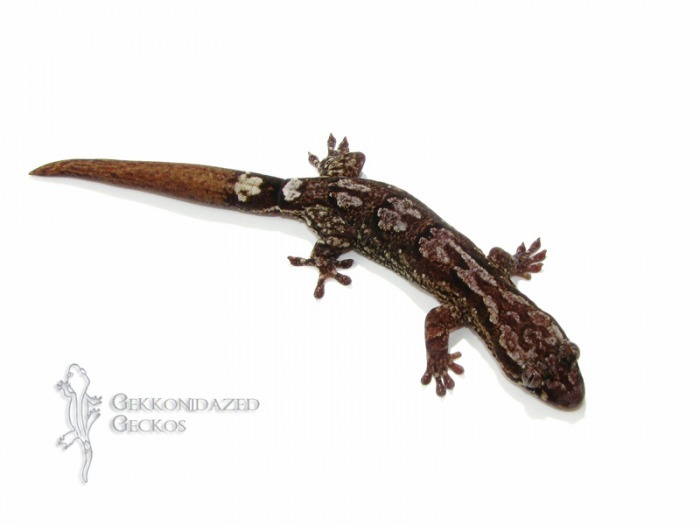 Here are some more of the species that we have experience with. 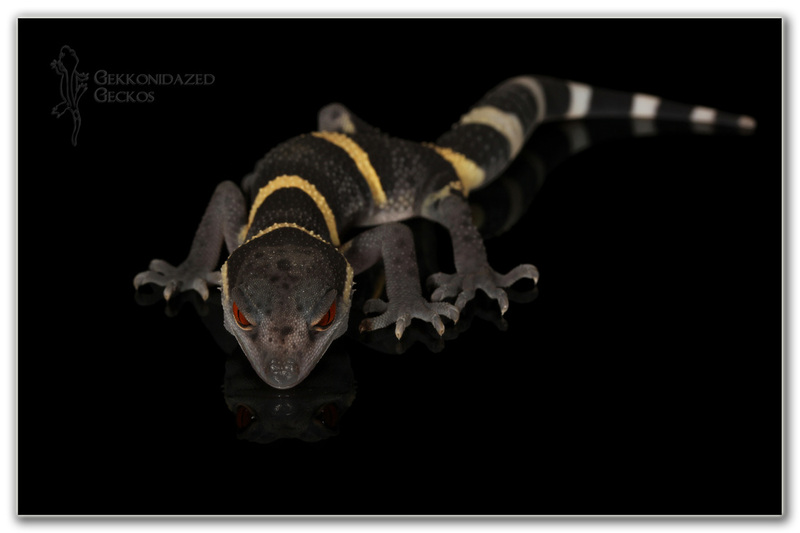 These are species that are no longer in the collection, but they were a joy to have when they were part of the "colony". 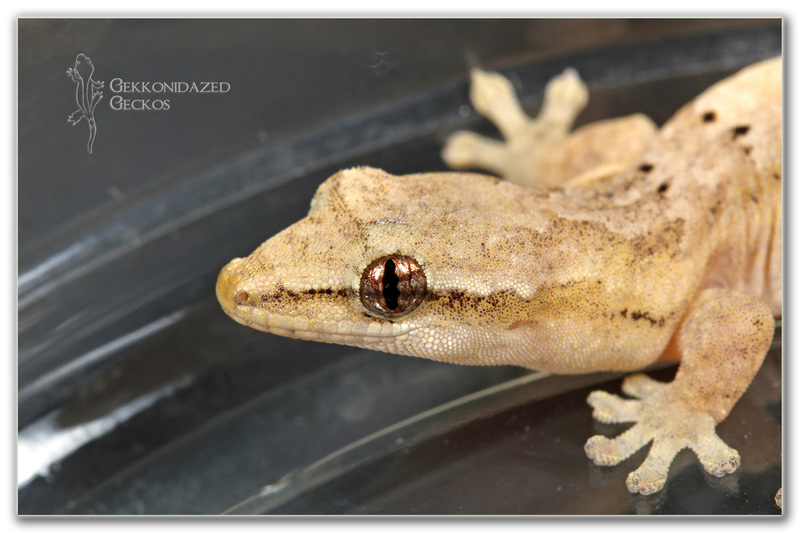 Commonly called Gold Dust Day Geckos, these guys make great display animals. 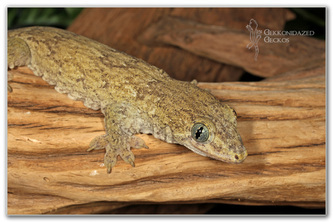 They are also fun to take to shows and educational programs as they are a more recognizable gecko thanks to Geico. 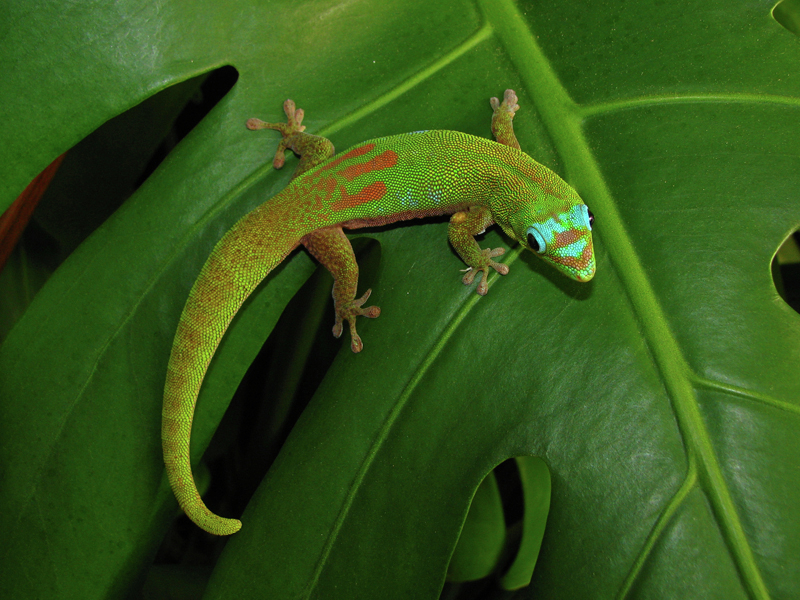 We acquired a pair of these beautiful animals in November of 2012. 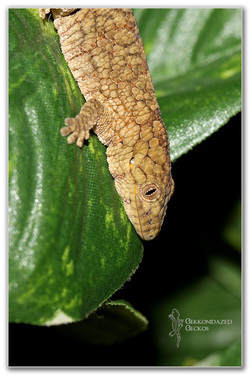 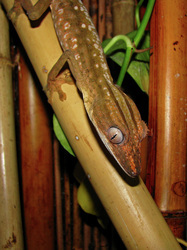 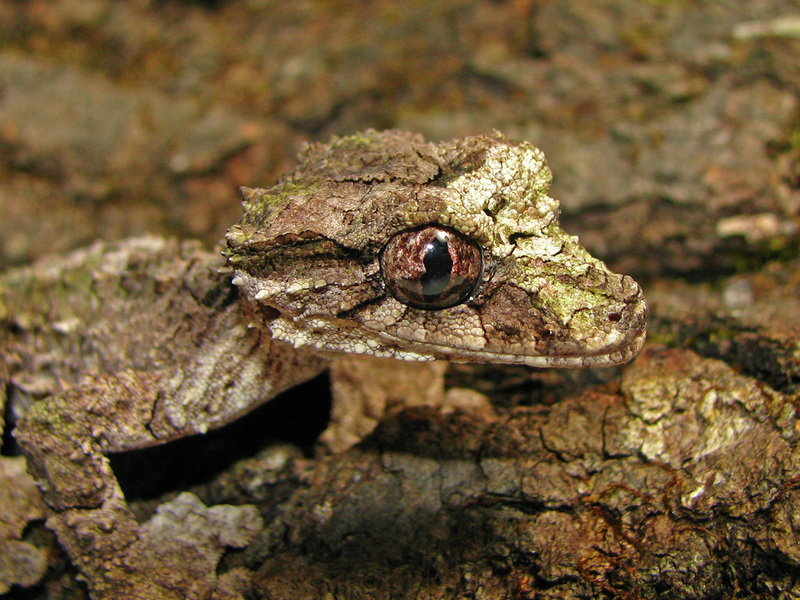 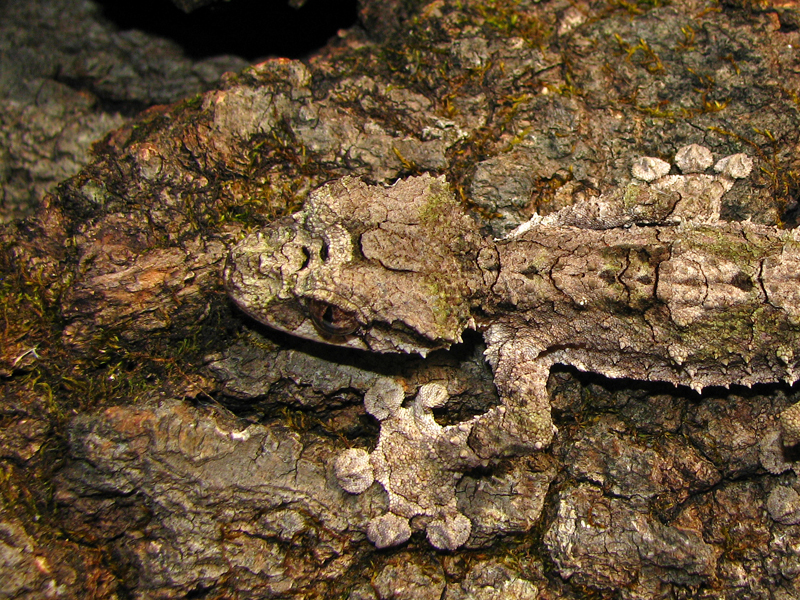 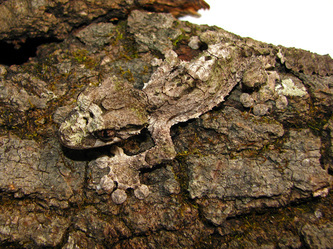 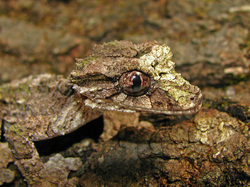 They are sometimes called the "poor man's leachie". 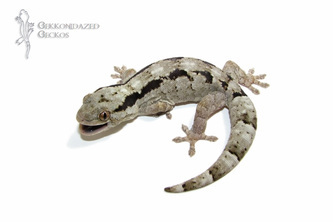 They are a fast species with a bit of an attitude. Our male is quite vocal and shows a lot of aggression. 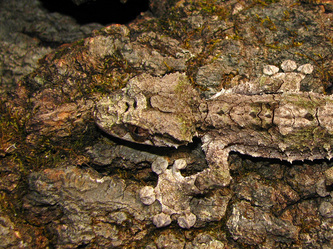 Their thin skin and flighty nature make them a species that shouldn't be handled, but just observed. 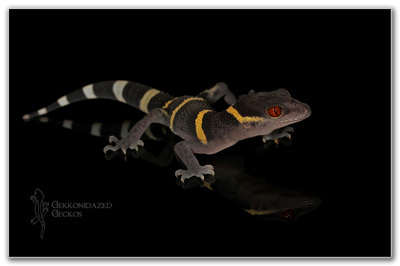 We hope to breed this species in the Spring of 2013. 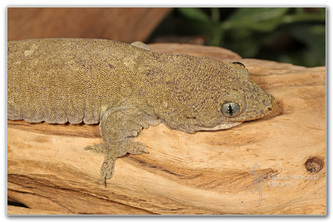 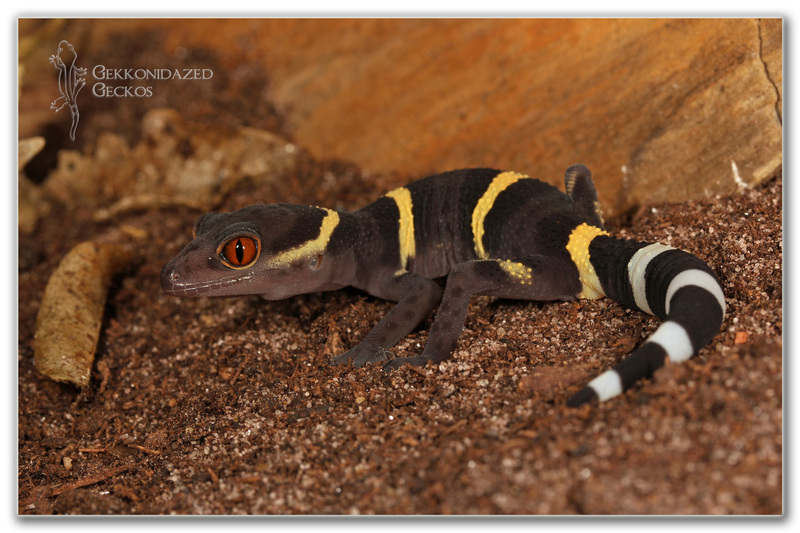 This is such a cool little gecko, and a species I fell in love with at the last SEWERfest show in Racine. 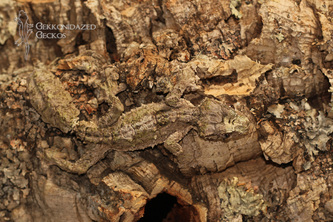 We picked it up from Phil Tremper, who has some incredible animals. 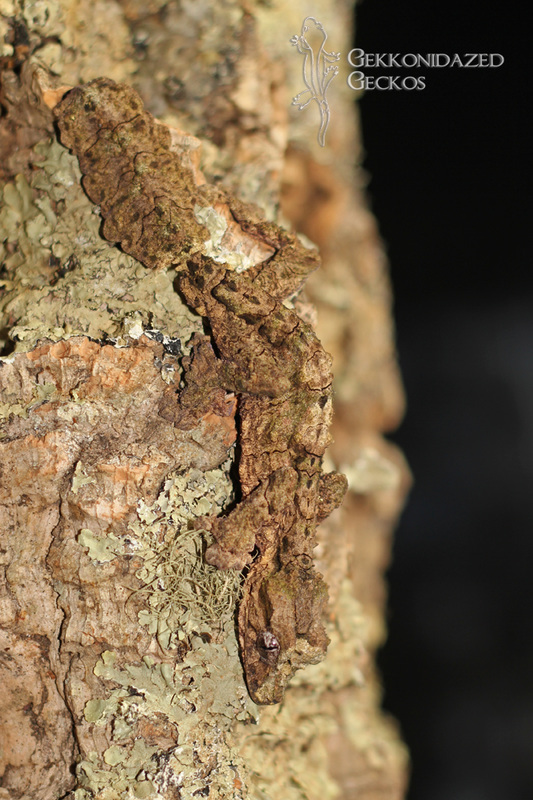 This is a south African species of gecko that likes to hang out in dead trees in the savannah and bush lands. They are very inquisitive little geckos...always looking around and "tasting" the air. 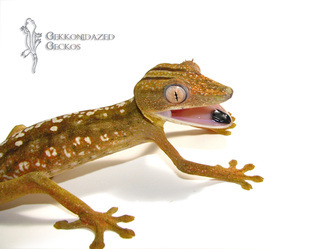 They are quick quick, but run different than a lot of geckos I've had. 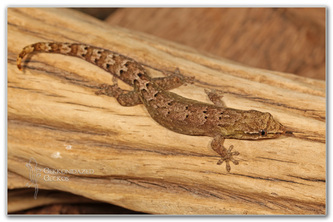 Instead of the swishing side to side and S type motions that a lot of geckos make, this one seems to use it's legs more and run in a straight line. 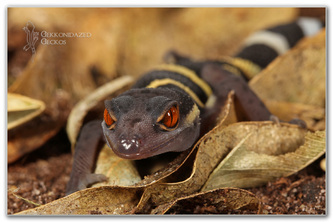 They are so interesting, and one I'd like to work with a lot more in the future. 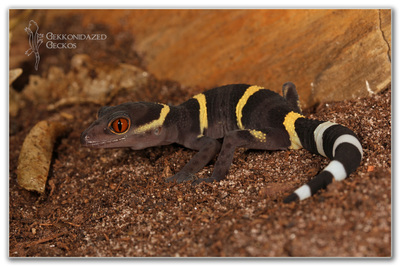 We've noticed that they will lighten up with age...going from a slightly more brown color to the typical black and white. Honschel was a really neat gecko to have. Someday, we'll try lineatus again. This is our first actual sand dwelling species, and something that we wanted to try for some time. 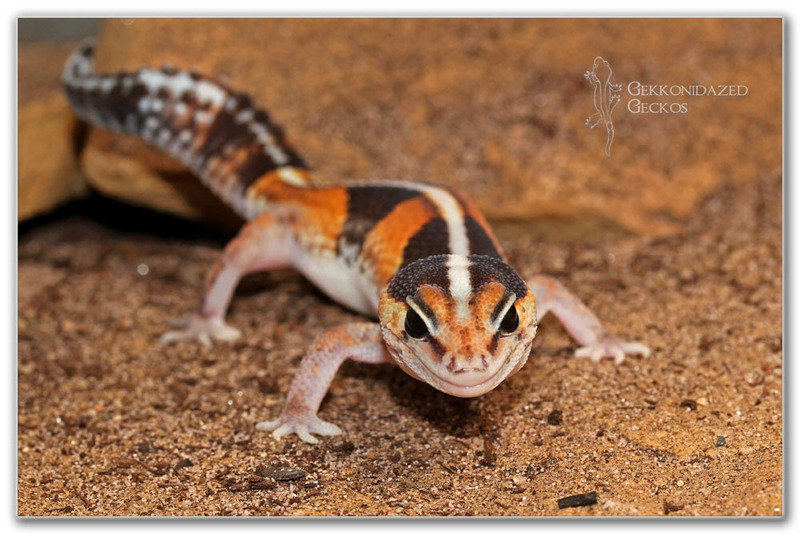 These geckos love the heat, and do best with a heat pad underneath a tank of sand. 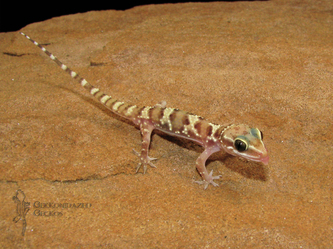 We have him set on on treated beach sand with sandstone slabs for structure. 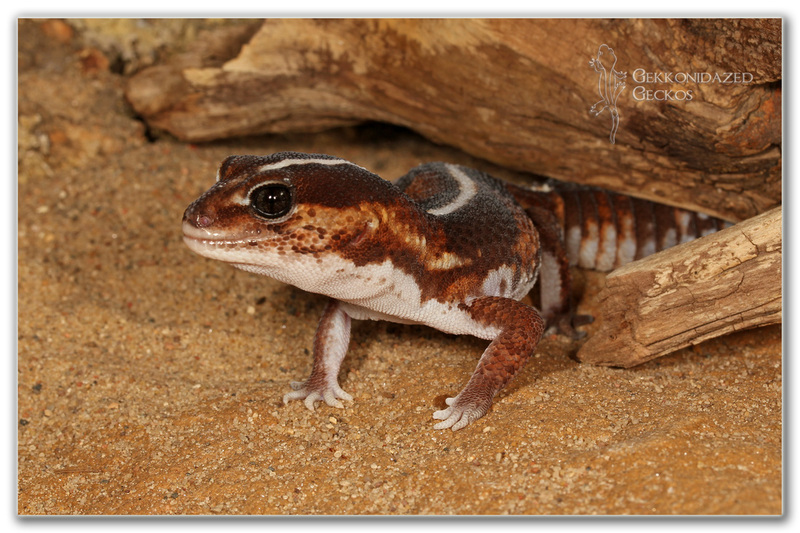 He will dig and kick sand all over his back, and has recently taken well to eating dubia roach nymphs. They are very interesting geckos to watch. Their bold coloration, "bull-dog" body shape, and crazy emeral green eyes are just spectacular. 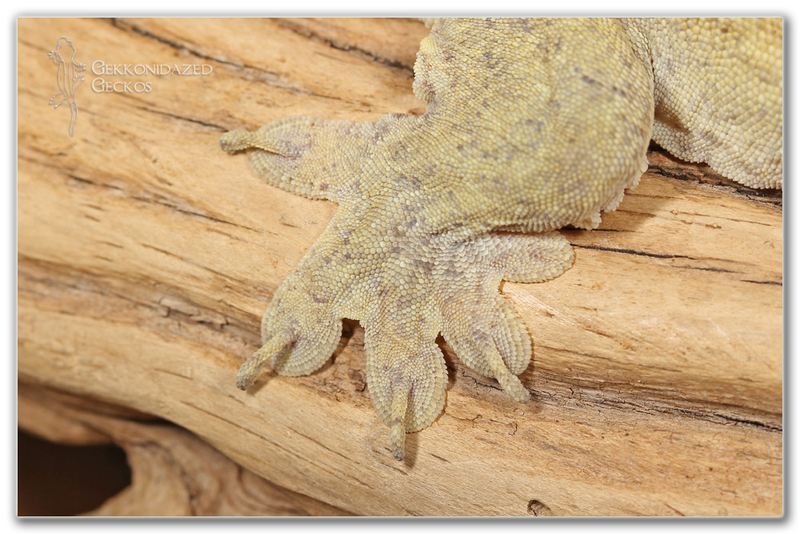 Update: after keeping this male for some time, he passed away with what appeared to be a respiratory issue. 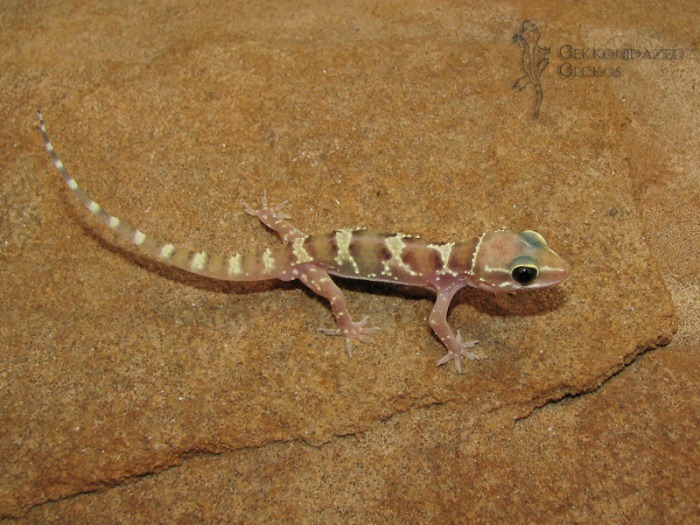 We believe we may have misted the sand a bit too much and the conditions were more moist than what this species really needs. 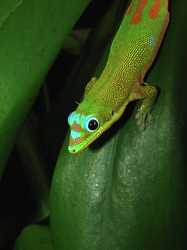 It's a lesson we learned from and will be wary of in the future. These are some very cool geckos. They are native to Africa and are aptly named the Termite Hill geckos. They spend a good deal of time eating termites and ants. They are very inquisitive, quick, voracious eaters, and seem to be quite intelligent. They eat dubia roach nymphs without an issue, and are very fun to watch. 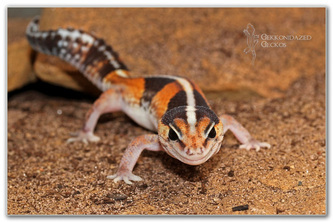 These first few photos are pictures of a juvenile male. The females and males look the same, and can only be differentiated by their hemipenal bulges and preanal pores. 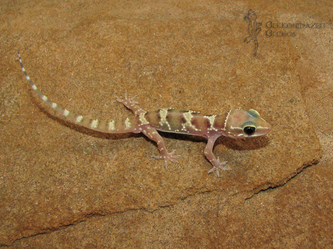 As they grow and mature, the light banding becomes much more pronounced as it lightens into an almost white color. The base coloration become a dark chocolate brown to black color. 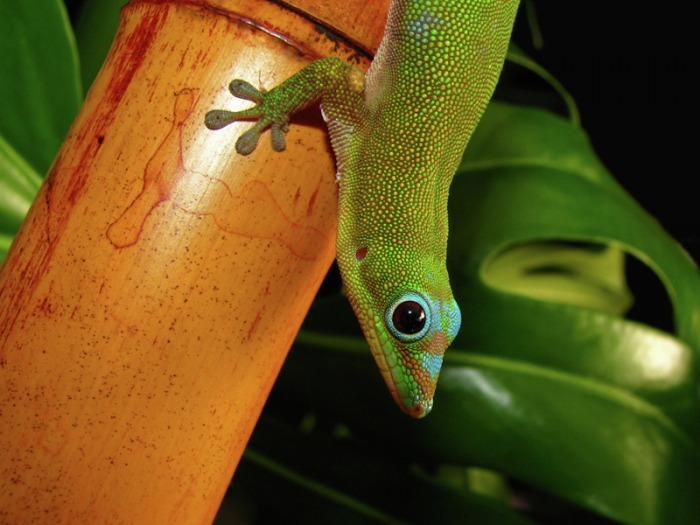 They are very pretty geckos. We can't wait for these to grow up further, and hopefully produce some offspring of their own. 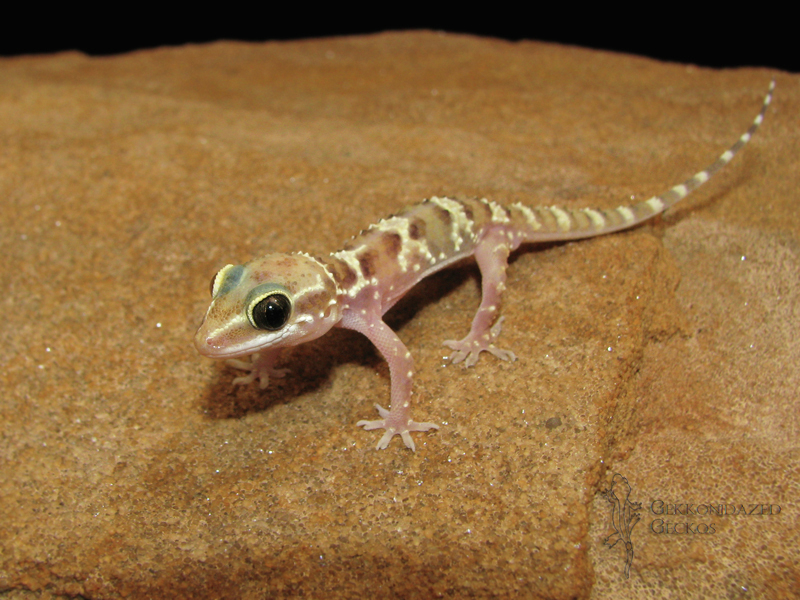 This is an interesting group of geckos, and one that I'm starting to like more and more. 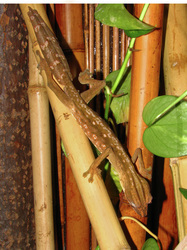 We acquired our first Bavayia from Alejandro Lozano of Emerald Exotics at NARBC Tinley Park 2010. They are lightning quick, inquistive, hardy, and fairly easy to care for. 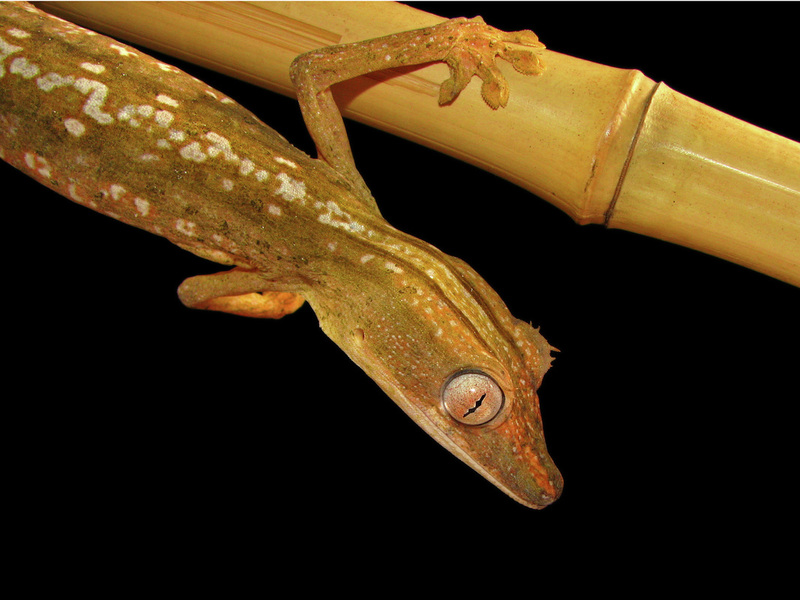 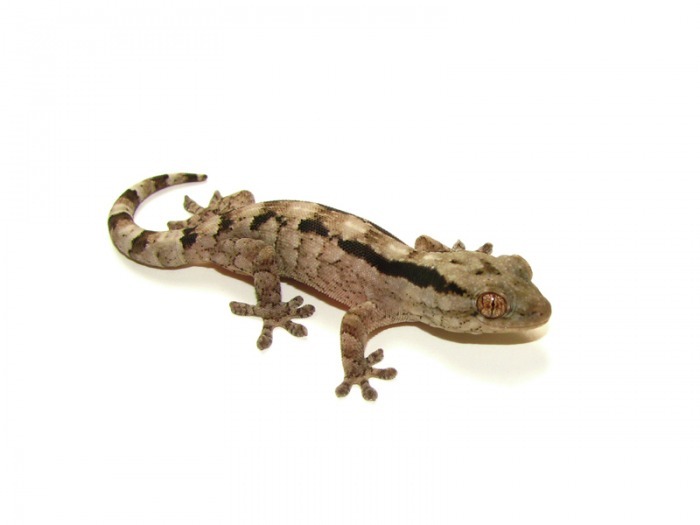 They take to the Crested Gecko Diet as well as dusted live insects. 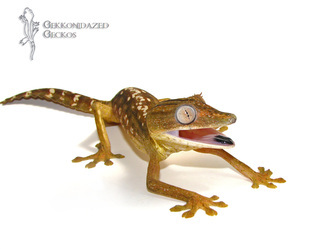 This one is no longer in our collection.